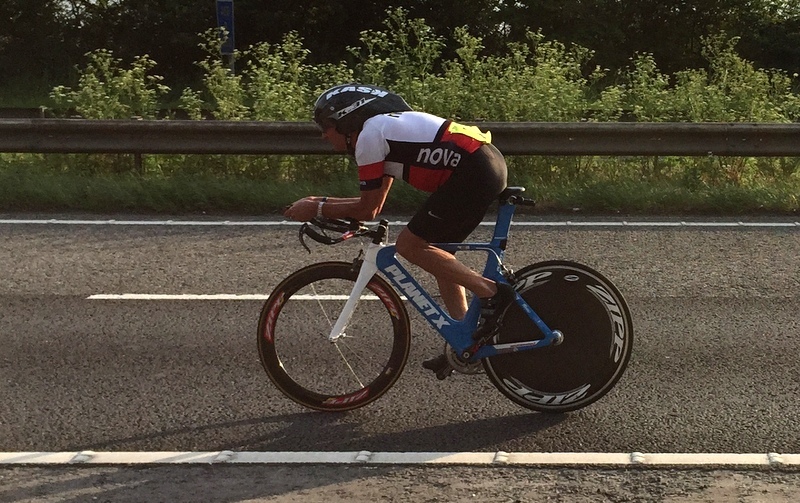 Event nine of the Beech House Dental Practice Evening TT League took part on the hottest day of the year so far and Nova’s Simon Cave was in sizzling form to take a maiden league win on the 16-mile Arkendale-Green Hammerton-Alborough-Arkendale course. Cave’s time of 35:45, 46 seconds quicker than his course personal best, sealed the win ahead of Duncan Mullier who recorded 36:03. Pete Watson, Performance Coaching, placed third with 36:13 with Nova duo of Al Mitchell (36:28) and Tim Jarvis (37:26) completing the top five. Richard Bellerby took top honours in the Vet-60 category recording 41:34, over a minute quicker than his previous best time for the course. 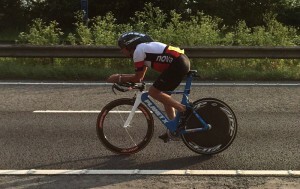 Charles Cuss was the quickest of the riders on non-specialist bikes recording 39:10. It was another record breaking evening in the ladies event. 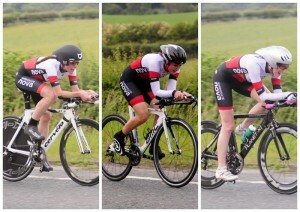 The course record was broken three times, first by Corrine Mitchell (40:32) then by York Cycleworks Jess Bacon (38:13). Despite knocking thirty seconds off her own course record, Alison Sarmiento had to settle for third place on the night with 41:32. With nine ladies taking to the start line (over a quarter of the field) there were PBs for everyone who rode. The conclusion of event nine marks the half-way point in the Evening TT League. Duncan Mullier holds a commanding lead in the men’s competition, and barring illness, injury or major mechanicals, looks set to retain his title. Simon Cave and Roger Bromiley currently occupy the other two steps on the podium. In the ladies competition, Corrine Mitchell currently leads the way, however Jess Bacon’s perfect record of five wins from five events puts her firm favourite to regain the title she took in 2013. With nine scoring events from the eighteen on offer, all is to play for over the next two months. 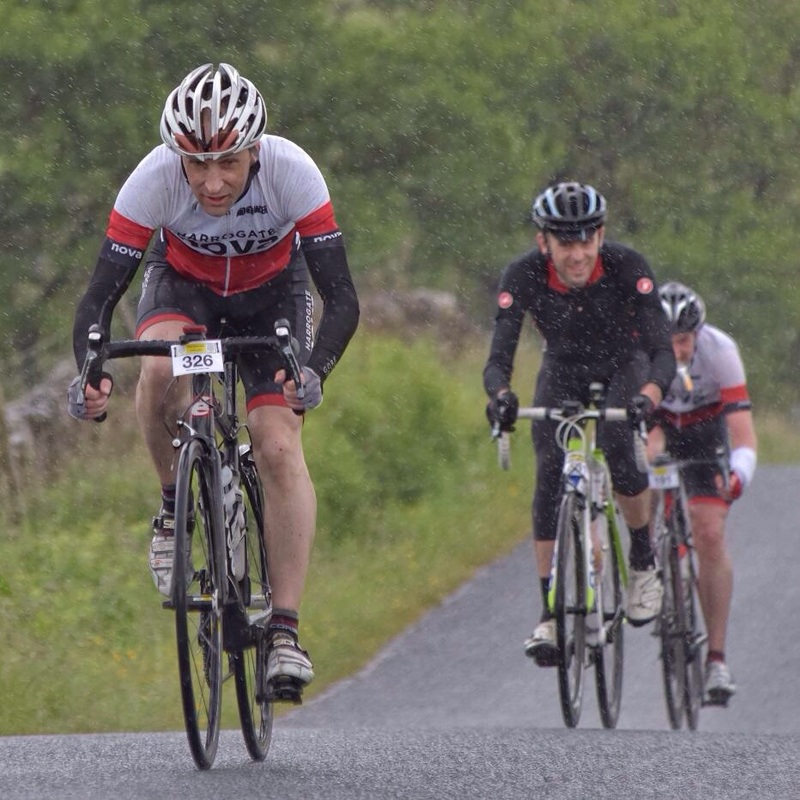 Billed as the premier road cycling sportive in the Region, the White Rose Classic offers three challenging routes which take participants through the heart of the Yorkshire Dales. Setting off from Ilkley with hundreds of others, there were Nova representatives in both the Medium (85 miles) and the Epic (115 miles) routes. Tom Denwood, Simon Ketteringham and Mike Worden took on the Epic route, riding as far afield as Wensleydale and over the much revered Coal Road from Garsdale Head into Dentdale. Paul Lehan, Mike Hudson and Ted Sarmiento took the Medium route which headed up into the picturesque valley of Littondale before tackling the testing climb from Halton Gill and dropping down into the bustling town of Settle. 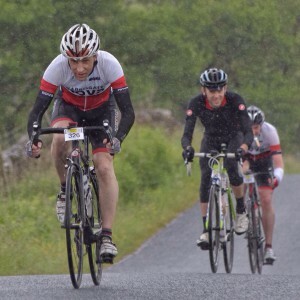 Weary legs were tested to the absolute limit with a final sting in the tail for all routes up and over the Langbar climb before descending to the welcome finish at Ilkely Rugby Club. Tom and Simon led the Epic route riders home with the first and second fastest finishing times of 6 hours and eight minutes. Mike Worden wasn’t far behind in fifth place with 6 hours 40. On the Medium route, Paul completed one of the fastest riders with 4 hours 59 minutes; Mike Hudson recorded 5 hours 12, and Ted, taking a more leisurely approach, completed the route in 6 hours 18. There was a record breaking week for some Nova members taking part in Open time Trials. In Round 4 of the Team Swift Evening League, Walter Wilkinson bettered his own Vet-70 record on the 10-mile V718 course, recording 21:25. Steve Smales claimed the Club 25-mile record on Saturday afternoon with a 14th placed time of 50:41 in the Belper BC event on the Etwall to Uttoxeter course. Duncan Mullier lowered his own Club 10-mile record to 19:03 in really fast conditions on the V718 course on Sunday morning in a re-run of the City RC (Hull) event abandoned due to poor weather conditions on Good Friday. 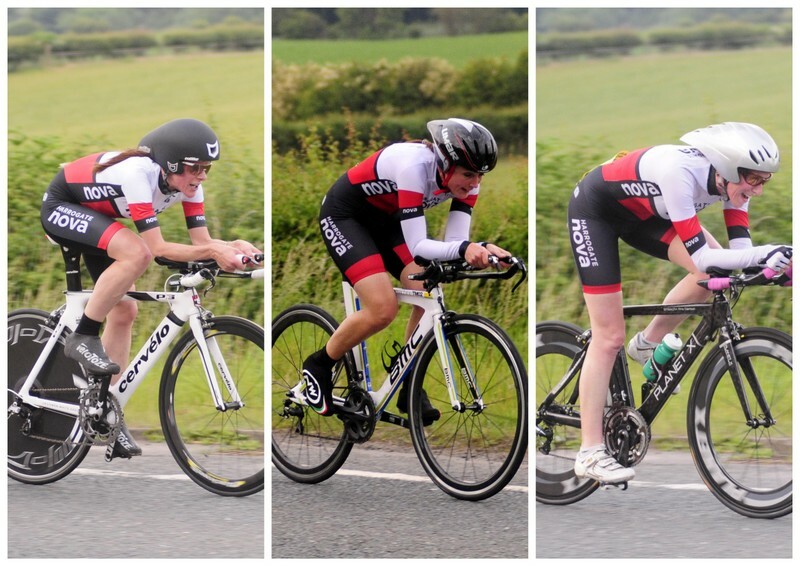 An early start on Sunday morning didn’t seem to affect Ele Haresign from setting a blistering Ladies Club record of 3:59:16 at the Stockton Wheelers 100-mile TT. Held in almost perfect conditions on the two-lap Crathorne-Dishforth course (T1002), Haresign was the fastest woman, and placed 25th overall. The stunning ride also earned her a place in the top ten of fastest 100’s recorded by a woman in a TT run under Cycling Time Trials regulations. Ian Peacock recorded 4:02:45 in the same event. In other events, Margaret and Vaughan Caswell lent a hand marshalling at the Yorkshire Cycling Federation 50-mile TT event on a hot and windy Saturday afternoon. 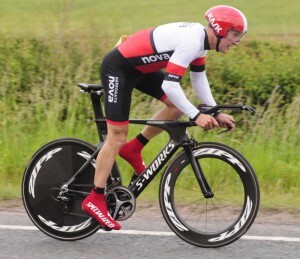 The event saw Nova’s Mike Hutchings record 2:19:53 on the Thirsk-Ellerbeck-Topcliffe (V259/1) course.